Kalamazoo, MI: On Monday, February 29th, 2016, at approximately 3:25 a.m., Kalamazoo Public Safety officers responded to a report of a fire in the 100 block of W. Dutton Street. Upon arrival, officers encountered fire in an exterior wall of the home and where able to extinguish the fire in a short amount of time. Five residents were displaced and were provided assistance by the Red Cross. The cause of the fire appears related to an electrical issue. Kalamazoo, MI: On 02-27-16 at approximately 8:00pm Kalamazoo Public Safety received the call of a house fire in the 600 block of Edwin. On arrival officers found smoke coming from the second and third floor of the residence. Upon making entry officers found heavy fire in the second floor bedroom and attic. Officers were on scene battling the fire for approximately three hours, and the house sustained significant damage. The residents were not home at the time of the fire and Red Cross was contacted to assist with temporary living arrangements. One officer received minor injuries and was treated at the scene. On 02-27-16 at approximately 8:48pm Kalamazoo Public Safety received the call of a second house fire in the 1600 block of Highland, about two blocks away from the first fire. On arrival officers found fully involved house fire, with flames coming through the roof. The house was not occupied and is currently under renovation. Officers battled the fire for approximately 2 hours before it was under control. Damage to the house was extensive but was confined to the roof and second floor. Both fires a currently under investigation by the Fire marshal. Kalamazoo, MI: On 2/24/2016, Victor Peery was located and arrested in Muncie, Indiana. Over the past few days, Investigators with the Kalamazoo Valley Enforcement Team and Public Safety Officers from the Kalamazoo Department of Public Safety Operations Division conducted several interviews and received several tips about Perry’s whereabouts. Investigators tracked Peery to a family member’s house in Muncie, IN. Detectives from the City of Muncie Police Department conducted surveillance at the location and obtained a search warrant for the residence. A SWAT team was called to the house. Peery and other occupants complied with orders to exit the home and were taken into custody without incident. 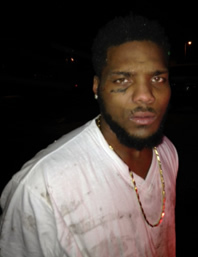 KVET would like to thank the Citizens of Kalamazoo for the tips and assistance with capturing this violent offender. Kalamazoo: Public Safety Officers responded to Duke Ln in reference to a shooting. Upon arrival officers located a victim that had suffered multiple gunshot wounds. The victim was transported to the hospital and is listed in stable condition. The suspect has been identified as Victor Peery. Peery currently has numerous warrants which includes ; Assault With Intent to Murder, Felony Fire Arm, Felonious Assault, Felon in Possession of Fire Arm, and Domestic Assault 3rd. 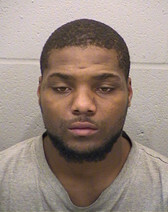 Public Safety Detectives are asking the public for assistance in locating Peery, black male, age 22. He is approximately 5’11” tall and 220lbs. He should be considered Armed and Dangerous. Anyone with information on this incident is asked to contact Kalamazoo Public Safety at 337-8994 or Silent Observer at 343-2100, www.kalamazoosilentobserver.com. Kalamazoo, MI: On 02-21-16 at approximately 9:00 pm officers responded to the 900 Block of Berkshire in reference to a subject that had been shot. On arrival, officers found a male victim that had been shot once in the torso and three times in the leg. He was transported to Bronson Hospital and his injuries were determined to not be life threatening. Upon speaking with the residents they advised two subjects, one known to them, arrived at the house. The known subject was allowed into the house by a resident and a second subject forced his way in behind him. The second subject then produced a small caliber rifle and demanded money. The resident refused to give the subject money, and was then forced upstairs at gunpoint. Once upstairs the suspect then forced his way into a locked room were a second resident was. A physical confrontation then took place during which the victim was shot. The suspects then fled the house on foot. A K-9 track was done, but the suspects were not located. Officers are currently following up leads to locate the suspects.